Before celebrating the NEW year, let me introduce you “NOTHING special“. I wish you all a MERRY CHRISTMAS and a HAAAAPPY new year !!! MERRY christmas & HAPPY new year 2012 !!!! 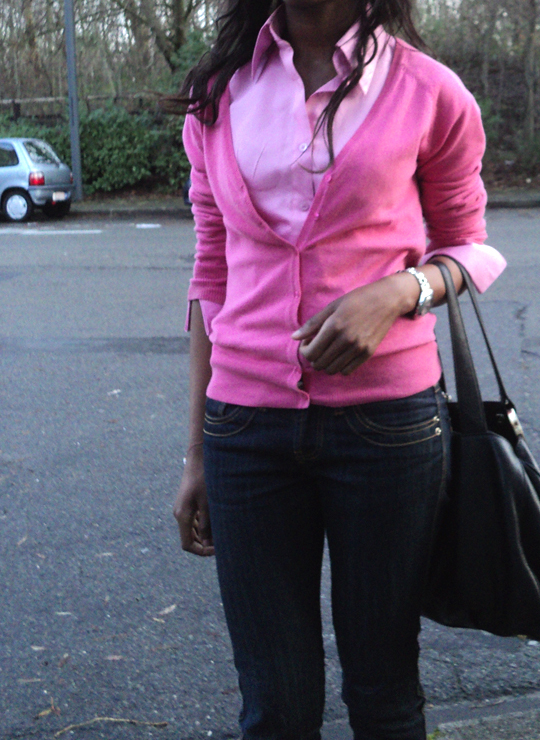 VOILA DEUX COULEUR QUE J'AIME BIEN ENSEMBLE LE JEAN BLEU FONCE ET LE ROSE. J'ADORE LE CONTRASTE DE COULEURS CAR TOUS EST MIS EN VALEUR.